The New England Patriots will be hosting a “Super Bowl Fan Rally” on Saturday, Feb. 4, from 12:00 to 1:00 p.m. at Super Bowl LIVE presented by Verizon in downtown Houston. 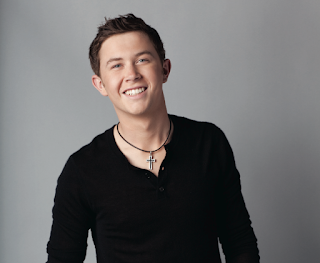 The Fan Rally will include a special performance by ACM, BMI, and CMT Award-winning country music entertainer – and life-long Patriots fan – Scotty McCreery. The gates of Super Bowl LIVE open daily at 10 a.m. Fans planning to attend the rally should use Entry 3 on Caroline Street between Clay and Polk. Fans are strongly encourage to walk or use public transportation. As a reminder, all visitors to Super Bowl LIVE events will be subject to security screening and bag checks. Please review the full list of prohibited items. On Feb. 5, the Patriots will seek their fifth Super Bowl title when they face the Atlanta Falcons. Super Bowl LI will be broadcast by FOX and can be seen locally on WFXT Channel 25 in Boston. Joe Buck will handle play-by-play duties with Tory Aikman as the color analyst. Erin Andrews and Chris Myers will work the sidelines.